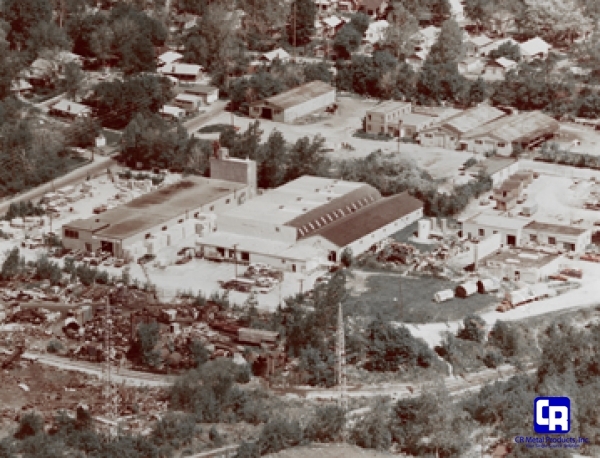 Rockbrook Avenue - Building #1, c. 1962 - During World War II, while working in a defense shop, Charles R. Walters was bitten by the "fabrication bug." 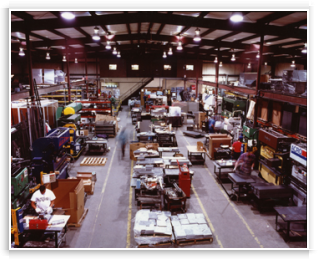 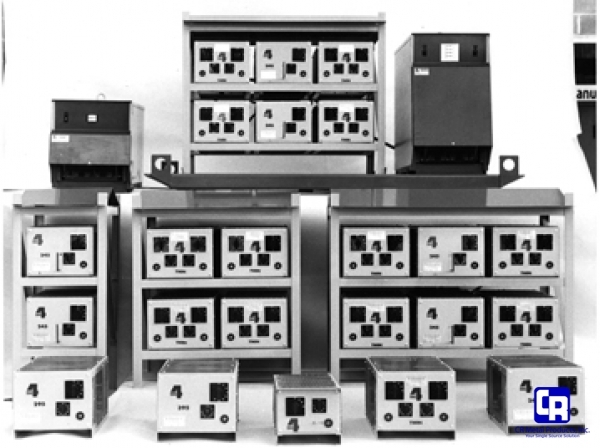 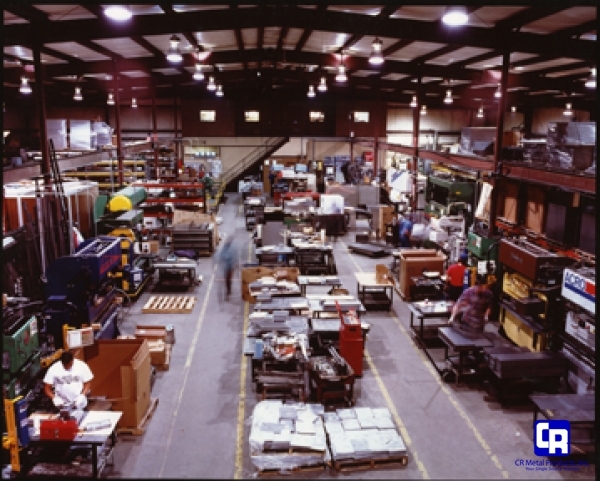 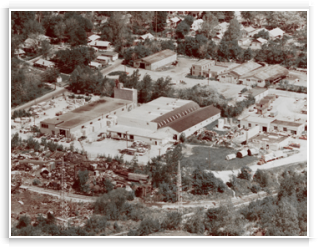 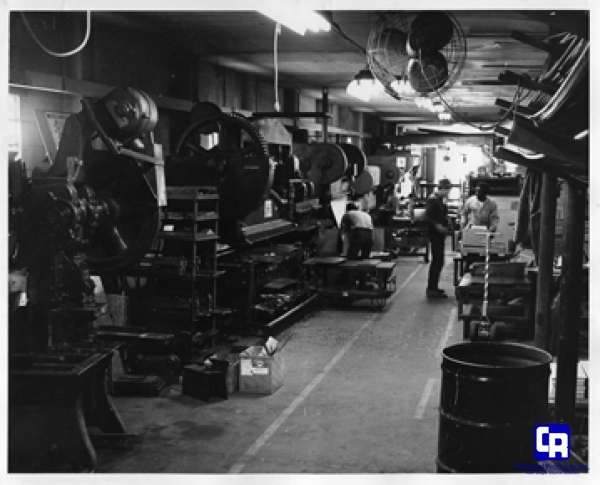 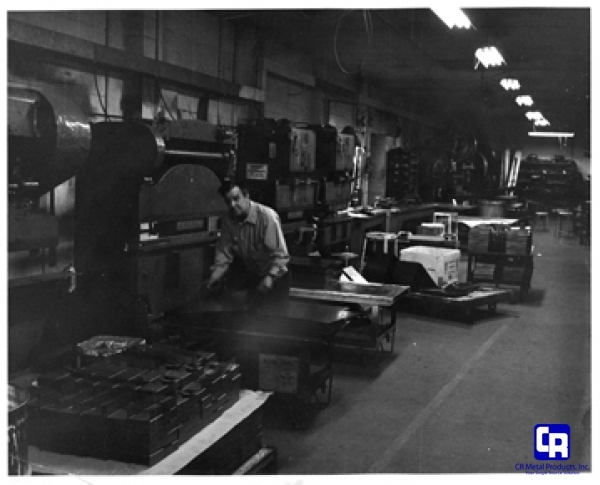 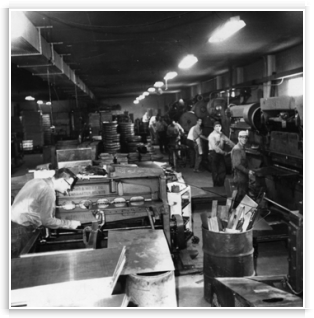 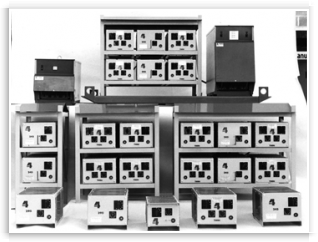 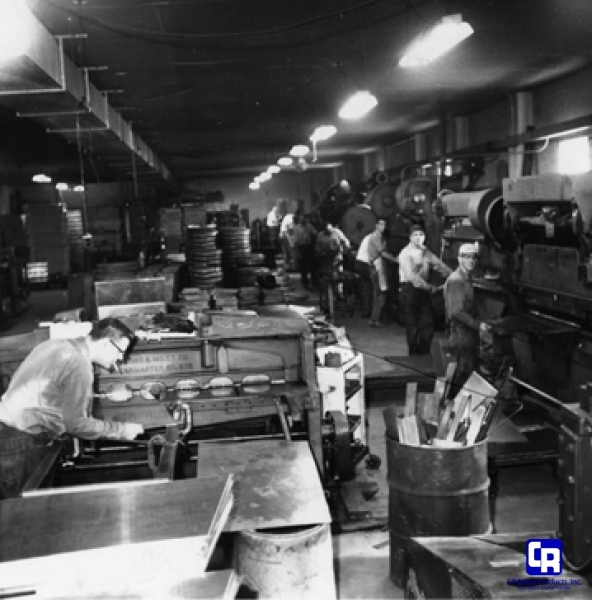 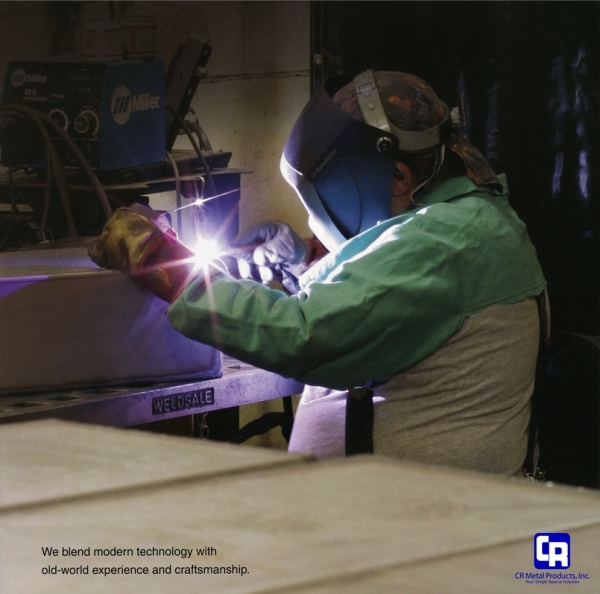 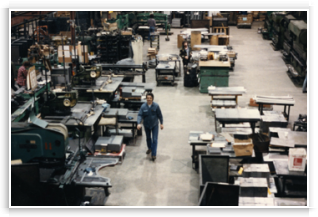 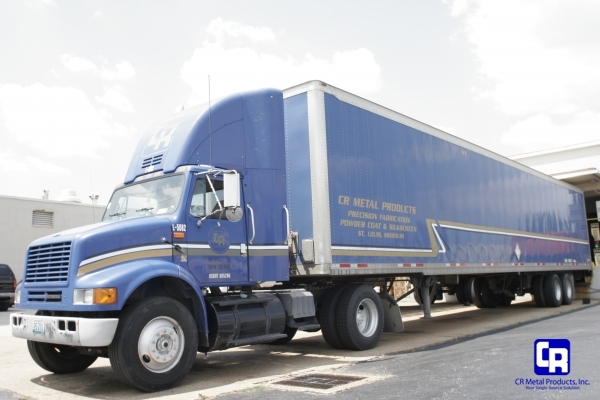 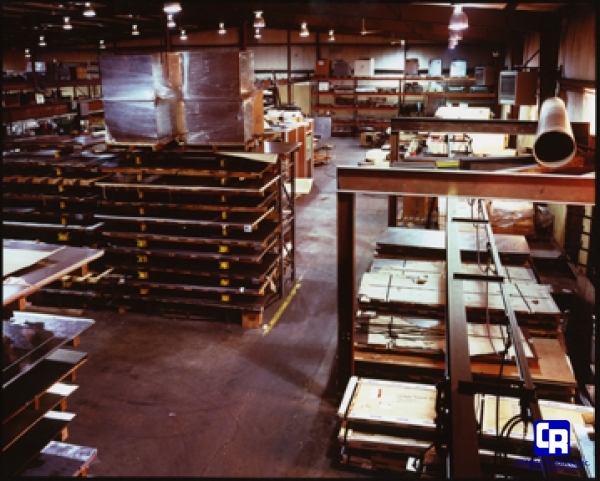 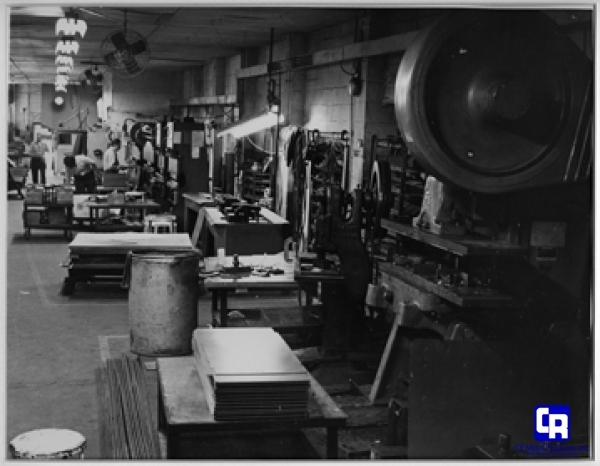 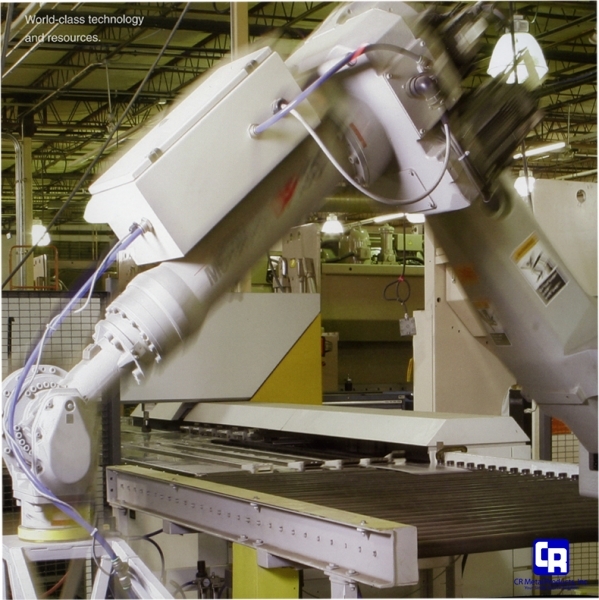 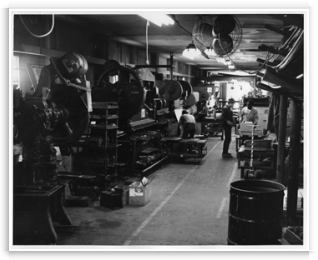 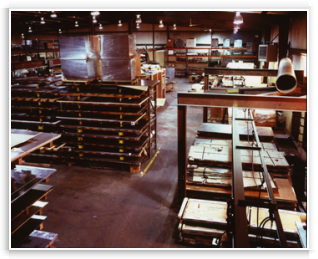 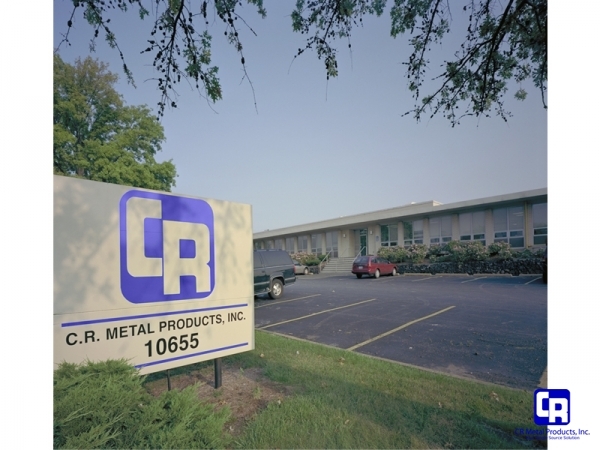 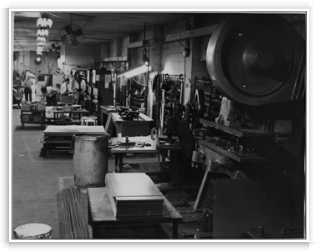 In 1946, in a four car garage in St. Louis, MO CR Metal Products was born. 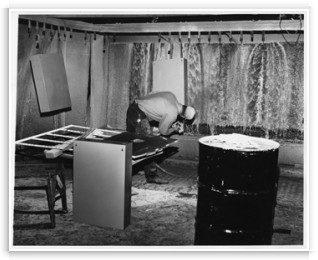 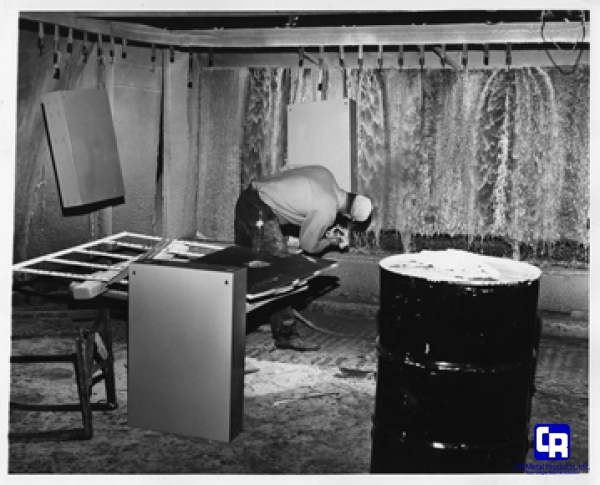 Paint Operation, c. 1964 - The first job was a sign for a cookie company, which Charles hand cut and formed around the beams in his basement. 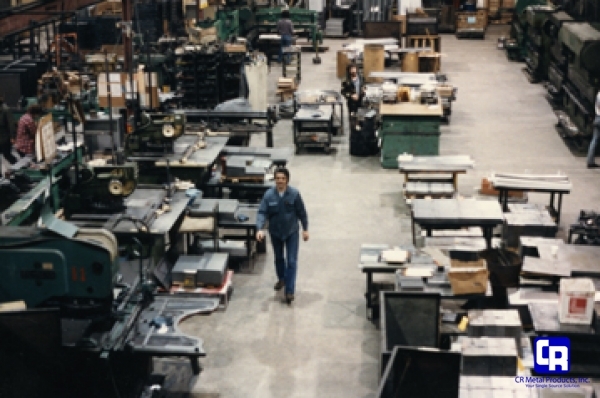 Soon after, the company became a family affair. 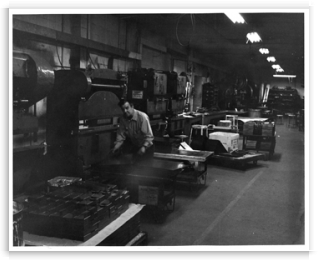 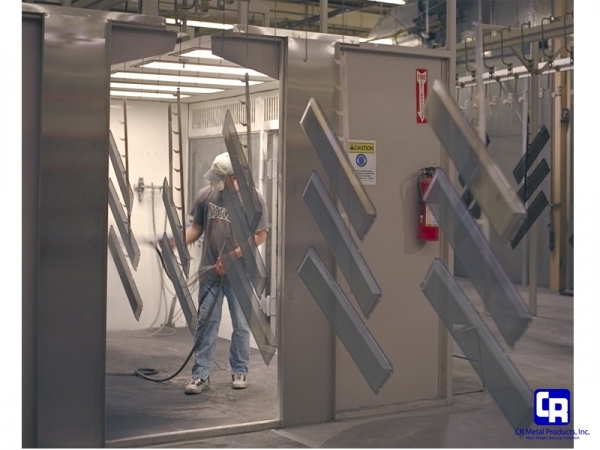 The picture to the right is John Walters, Charles' son, working in the paint wash.
Rockbrook Avenue plant - press brakes, c. 1969 - As a family team, they built a first rate sheet metal shop, running sales and production during the weekdays and constructing additional buildings at night and on weekends.